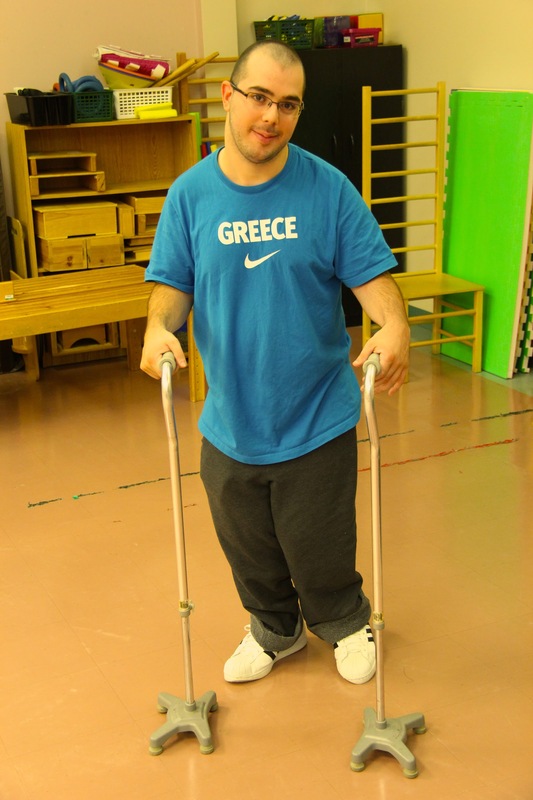 Nektarios first came to March of Dimes’ Conductive Education® program in the summer of 2002 and started attending weekly classes soon after. Twelve years on and Nek still attends CE classes whenever his schedule permits. When asked why he still chooses to attend Nek says “To be perfectly honest, CE has been the best program for me.” Back in 2003 staff working with Nek introduced him to, and taught him how to walk first with two quad canes and then only one. “It took me a year to get used to it and then every year after it became easier to me”. Many services for children with cerebral palsy stop at the age of 19. March of Dimes’ Canada Conductive Education® program is one of the few programs that extend the program to adults with CP and other neuro-motor disorders to learn the skills and techniques to overcome daily challenges. 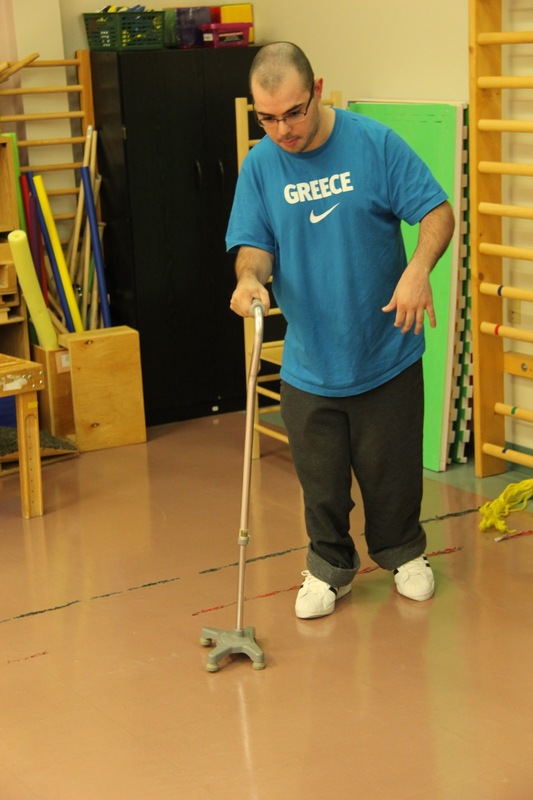 Problem-solving skills are a key to gaining independence and Nek has made great gains in this. Staff have enjoyed seeing how much Nek has progressed and grown over the years, always looking for news ways he can accomplish tasks more independently. It has been wonderful to watch Nek grow into a young adult. “He has learned the importance of maintaining his flexibility and strength and works hard each week to learn new skills that he can transfer into his everyday life.” says Mhairi Watson, Senior Conductor at March of Dimes Canada. Nek has recently graduated from a three year degree program in Sports Management at Durham College and is currently looking for full time employment. Build New Skills & Meet New Friends! New Session of L.I.F.E. Toronto Program Starts February 2014!